Estimated production times are located on my home page in the announcement section. Instead of a book, your guests can sign in and leave you a message on a functional, cozy, keepsake quilt, with natural ingredients, handmade in America. Fabrics are completely customizeable by you. Browse for fabrics from here. Leave me a note at checkout with your choices. Please choose 10 different fabrics." 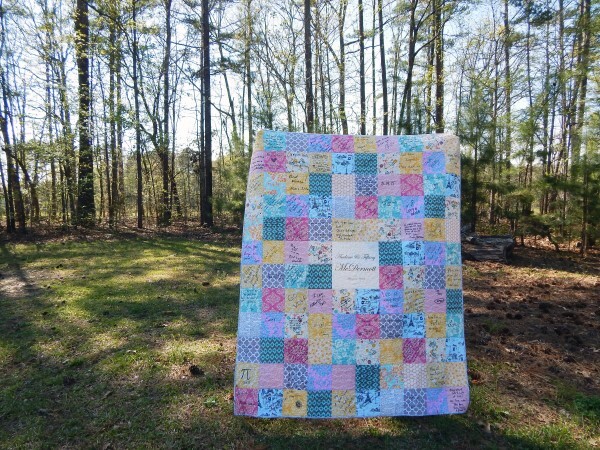 I have several options for this quilt where you can adjust the number of blocks to accommodate your needs. Before adding this item to your cart, choose the option you prefer. Please allow 2-3 weeks for me to get the fabric squares to you. If you are in a hurry, I'm happy to choose fabrics for you that I have on hand. Just contact me first. Top layer of quilt is quilted to cotton batting and cotton backing. Secured with binding. If the blocks have been altered I will charge a fee for having to work around this of $25. I am very sorry about this, but I've had someone do each of these things above and it just creates stress and mistakes that cannot be helped. 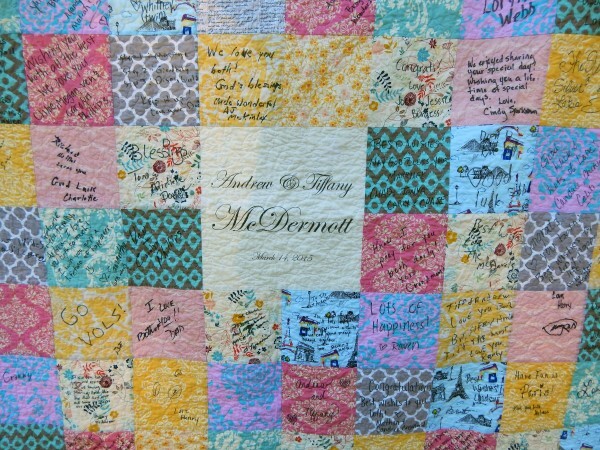 IF YOU HAVE PURCHASED A GUEST BOOK QUILT and never returned your quilt squares for me to complete your quilt I will give you up to three years to do so. After three years, I will not complete the order nor refund and will consider the order completed. - it is your responsibilty to return all blocks once they've been signed by your guest. If there are blocks missing, then you will have to purchase additional blocks. - I need at least an inch border all around each block for sewing purposes. If guest sign in border then some of their words may or may not be cut off. - make sure your guests are signing blocks correctly. If blocks are turned upside down or inside out there is nothing I can do to fix that. 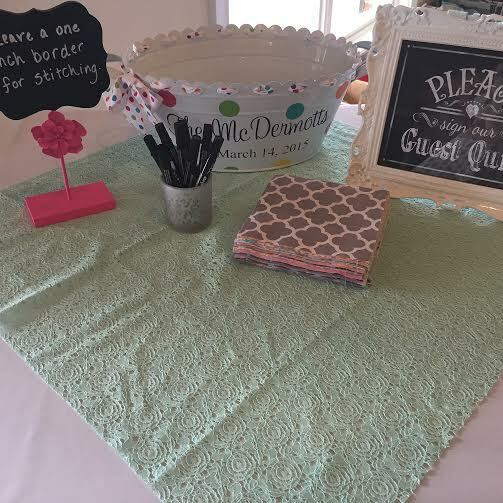 - It is your responsibility to be sure that guests are signing with a FABRIC marker. Occasionally, they will use their own pens (something hard to control). Please note that anything other than a fabric marker will smudge. Fabric markers DO NOT smudge after being washed. N E E D H E L P C H O O S I N G F A B R I C S ? Also, if you prefer to send me the link to your public pinterest board of your fabric choices instead of listing them at checkout that would be perfect, and easier for both of us.